In places like Vietnam, India, Nepal and Bangladesh, Teri Scully has met some remarkable artisans who began with nothing and used their crafting skills to improve their lot in life and that of their family. As director of merchandising for the fair trade organization and retailer Ten Thousand Villages, she has seen lives transformed. Ten Thousand Villages began in 1946 and now sells handicrafts through its 160 retail stores and 220 festival sales in North America that are made by more than 130 artisans from 38 countries in Africa, Asia and Latin America. The quality goods vary from large items such as benches, dressers, tables, chairs and stools to smaller ones, such as checker boards, picture frames, mobiles, jewelry and coasters. They also sell coffee, hot chocolate, jams, teas, sauces, and dried fruit. 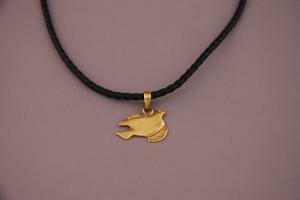 “One product that’s done really well lately is a small necklace from Cambodia with a peace dove on it. It’s made from brass that was used in bombs in that area,” says Scully. Most of the items don’t have such a profound story behind them. Consumers simply find out where the product was made and in what materials, but don’t learn specifically about the person behind it — but rest assured their story is likely just as moving. Scully is in charge of the purchasing and marketing teams for Ten Thousand Villages Canada and decides what products will be sold in the 50 stores nationwide and on the web site, www.tenthousandvillages.ca (.com for the U.S. site). In this role, she travels to the villages to meet the local artisans and works with their local fair trade marketing organizations, part of the World Fair Trade Organization (WFTO). “When we go to the villages, we find out what they can do, what their skills are, what their challenges are in terms of material or technical issues, and tools,” explains Scully, who works out of the main office in New Hamburg, Ontario, and traveled most recently to Dhaka and Sidhpur in Bangladesh. Fair trade means providing a fair wage to workers in developing countries and promoting sustainability. 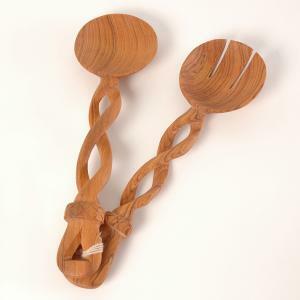 Ten Thousand Villages works in places such as India, Zimbabwe, Nepal, Indonesia, Vietnam, Guatemala, Congo and Peru, where governments generally do not have the means to help the unemployed or disabled. Products sold by Ten Thousand Village are often made in small group settings or in home workshops where artisans also manage household responsibilities or farm work. Deciding how much the artisan is paid is a complicated process. Ten Thousand Villages considers how many people were involved in creating the product and compares it to other organizations working in that country. It is Ten Thousand Villages’ goal to ensure that an artisan’s basic needs for food, clothing, housing, medical care and children’s education are met. The artisans set their own wages, the price of the article, and agree on a rate that covers the cost of labour and materials, which gives them fair compensation for their work. They receive 50 percent payment upfront so they have something to live off and can continue to purchase raw materials. The balance of the payment is sent when the order is about to leave the country. Ten Thousand Villages pays 100 percent before it receives the product. 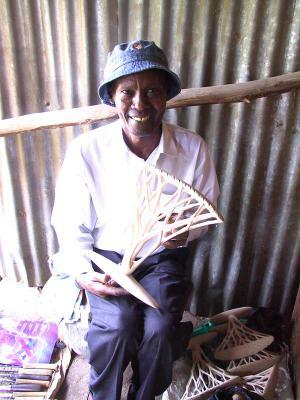 One of the people showcased on the Ten Thousand Villages website is Nairobi businessman Claytone Ombasyi, who runs a private export and marketing company called Otic International that helps local artisans connect with international markets. Otic provides export, packaging, and quality control support for some small workshops. Ombasyi helps them improve their skill through wood carving training or provides them with short-term, no interest loans to help them create their product. It’s an alternative type of trade focusing on people before product or profit. “It’s putting a human face on how we do business of the world,” Scully explains. “You know if we buy cheap cheap cheap all the time and don’t care, then we have no idea how disadvantaged we make people in different circumstances. It is giving people a way to work their way out of a poverty situation. This is about helping people improve their livelihood.